Eurostat has delivered its up to date information on " energy from renewable source" based on data compiled in accordance with accounting rules set down in the Directive 2009/28/EC on the promotion of the use of energy from renewable sources. 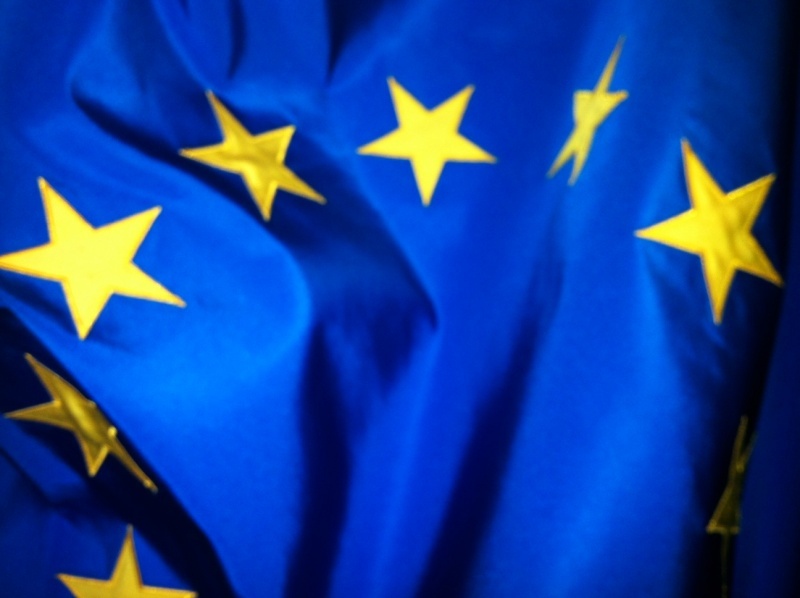 "Renewable energy in the EU has grown strongly in recent years. This has been prompted by the legally binding targets for renewable energy enacted by Directive 2009/28/EC. While the EU as a whole is on course to meet its 2020 targets, some Member States will need to make additional efforts to meet their obligations for the share of energy from renewable sources in the gross final consumption of energy." "Primary production of renewable energies is on a long-term increasing trend. Between 1990 and 2014 it increased by 174 % (an average annual growth rate of 4.3 %). However, in 2011, the primary production of renewables declined by 2.2 %; this was mainly due to the annual variation in hydropower production and decrease in the combustion of solid biomass. This was only the second decrease recorded since 1990 — the first in 2002 (-1.6 %) was also a consequence of hydropower variation." "Highest share of renewables in Sweden, lowest in Luxembourg Since 2004, the share of renewable sources in gross final consumption of energy grew significantly in all Member States. Compared with a year ago, it has increased in 24 of the 28 Member States. With more than half (52.6%) of energy from renewable sources in its gross final consumption of energy, Sweden had by far in 2014 the highest share, ahead of Latvia and Finland (both 38.7%), Austria (33.1%) and Denmark (29.2%). At the opposite end of the scale, the lowest proportions of renewables were registered in Luxembourg (4.5%), Malta (4.7%), the Netherlands (5.5%) and the United Kingdom (7.0%)." Renewable energy available for final consumption. As reported in the graph above, the "renewable energy available for final consumption tends to rise and fall in line with changes in gross inland energy consumption from renewable sources. 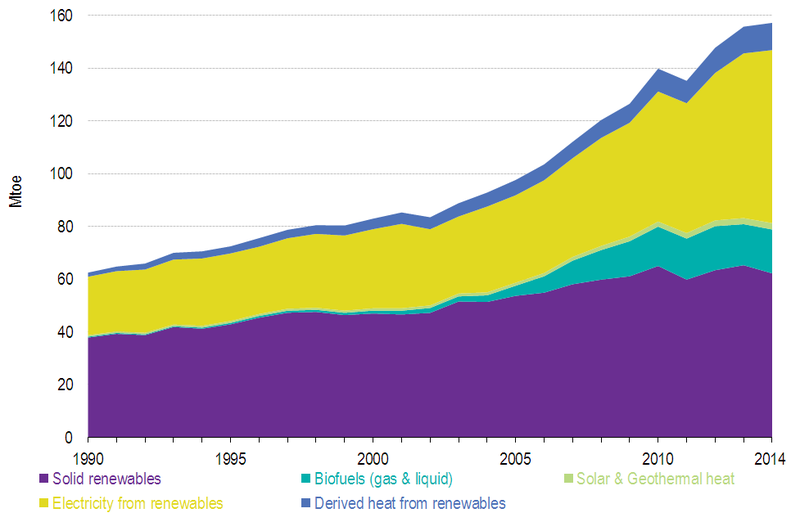 Rapid expansion of certain technologies caused the share of energy from solid renewables (including wood and renewable waste) to decrease from 61 % in 1990 to 40 % in 2014. However, in absolute terms it increased by 64 % during this period. Renewable energy available for final consumption increased by 69 % between 2004 and 2014. In 2014 the renewable energy available for final consumption decreased by 1 % compared to 2013.